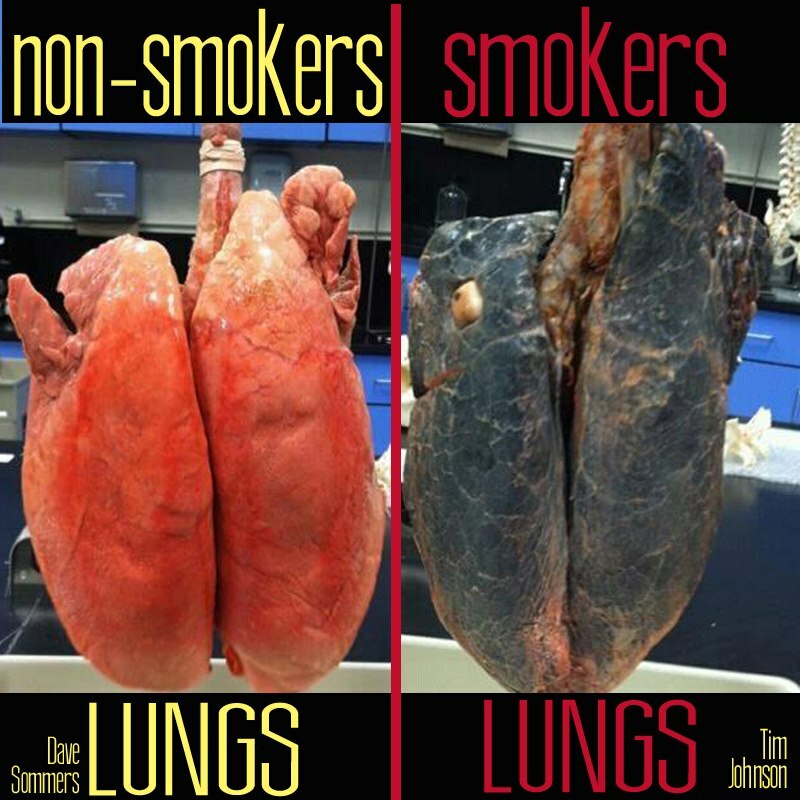 The cleaning system in your lungs does not work well. 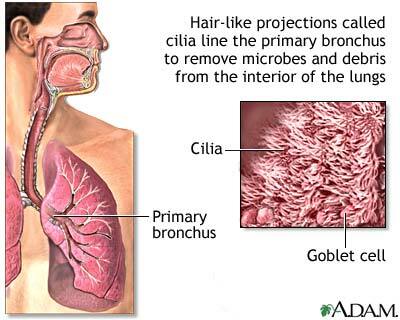 The trachea and lung cells have hairs, called cilia. The cilia clean your lungs. A few seconds after you start smoking a cigarette, the cilia slow down. Smoking one cigarette can slow the action of your cilia for several hours. Smoking also reduces the number of cilia, so there are fewer cilia to clean your lungs. You are less protected from infection. When you smoke, the natural defenses your lungs have against infection do not work well. 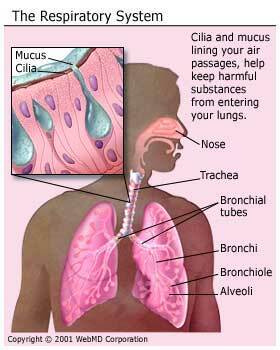 Your lungs and airways have more mucus, and the mucus is not cleaned out well. So the mucus stays in your airways, clogs them, and makes you cough. This extra mucus can easily get infected. Your lungs can be destroyed. When lung tissue is destroyed, the number of air spaces and blood vessels in the lungs decreases. Less oxygen is carried to your body. As you age, it’s normal for your lungs not to work as well. When you smoke, your lungs age faster. Cigarette smoke has chemicals that can make normal cells change into cancer cells.